The U.S. 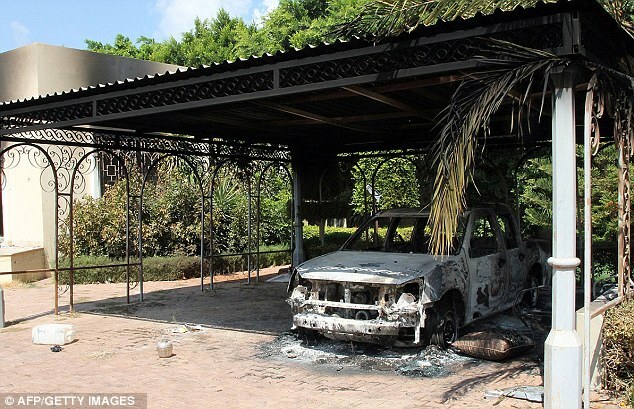 Ambassador to Libya who was killed in a brutal attack on the consulate in Benghazi had said his name was on an al Qaeda hit list before his death, sources have revealed. 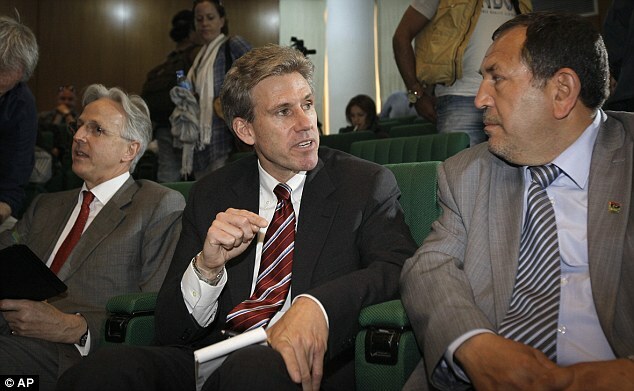 Chris Stevens had worried about what he called the 'never-ending' security threats in the Libyan city and was concerned about the increasing threats of Islamic extremism and al Qaeda, CNN reported. The revelations, from a source close to Stevens, raise yet more questions about why he and the three other U.S. citizens killed in the attack were at the consulate with scant security. 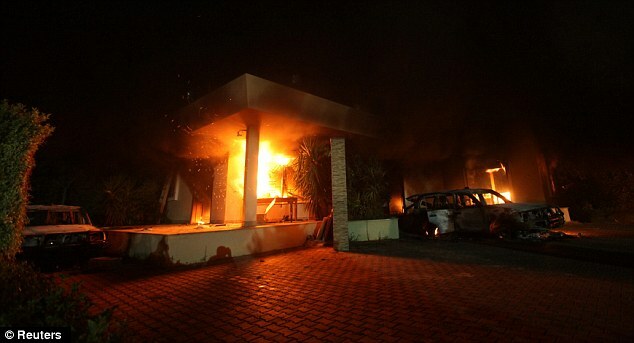 The attack came on the eleventh anniversary of 9/11 after Benghazi had experienced a string of attacks on foreign targets during the summer. 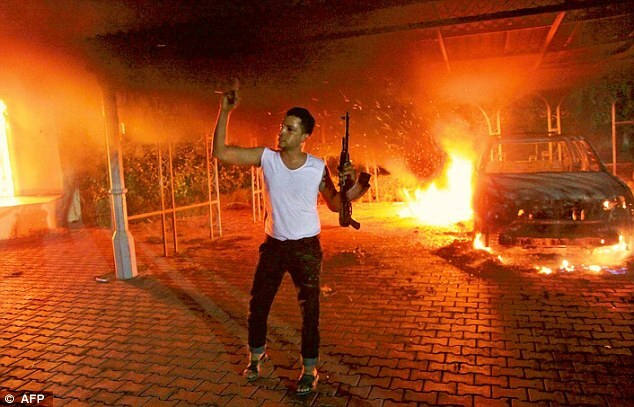 Despite these indications, the Obama administration had emphasized it was a spontaneous ambush about which they had no intelligence. But Matthew Olsen, director of the U.S. National Counterterrorism Center, has now said the attack was planned and was not merely the result of protesters demonstrating against an anti-Islamic film. 'I would say yes, they were killed in the course of a terrorist attack on our embassy,' he said at a Senate Homeland Security Committee hearing on Wednesday. The revelations come as it emerged that a former al-Qaeda terrorist released from Guantanamo Bay was named as the apparent leader of the attack on the U.S. consulate. 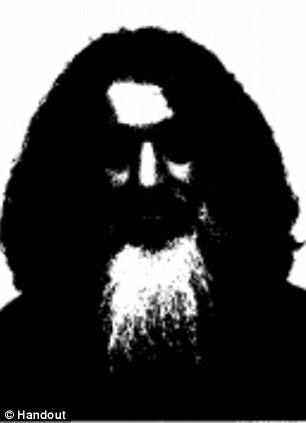 Sufyan Ben Qumu, who was reportedly once Osama bin Laden's driver, was let out of the US military detention center in Cuba in 2007 and turned over to the government of Muammar Gaddafi on the condition he be kept behind bars. 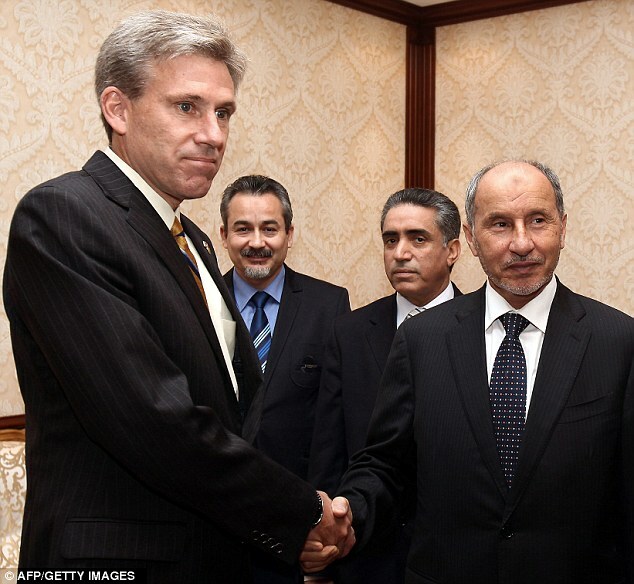 Fox News reported he may have led the September 11 attack on the American consulate that resulted in the death of Chris Stevens -- the first US Ambassador killed by violence overseas since 1979. The US military characterized him as a 'medium to high' risk to national security while he was in US custody and he refused to cooperate with authorities and explain his past associations with Islamic extremists. Qumu, 53, is a Libyan army veteran who was jailed by Qaddafi and later escaped and moved to Sudan, where he worked for one of Osama bin Laden's holding companies. According to some reports, he was bin Laden's driver during his time at the company. However, he denies this. 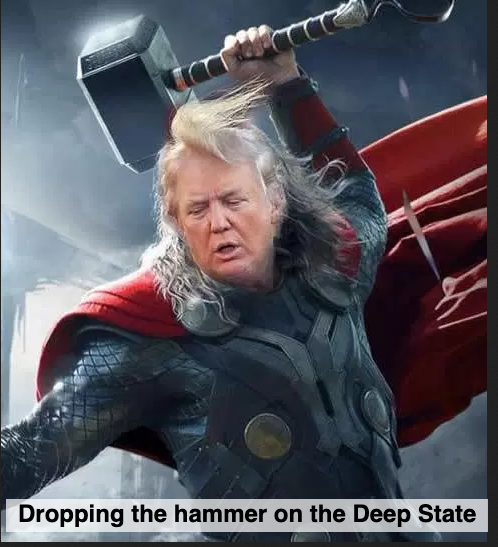 He also fought against the Soviets in Afghanistan with the Mujaheddin. Later he took up arms against the Northern Alliance and fought alongside the Tabliban. Later, he moved to Pakistan and slipped across the border into Afghanistan, where he began working at a charity that was a front for al-Qaeda in the summer of 2001. He was arrested in Pakistan by local authorities shortly after the US invasion of Afghanistan. He was taken to the Guantanamo Bay detention center and held there for six years. Despite his lengthy association with extremists, including the 9-11 mastermind and al-Qaeda leader himself, the military recommended in a 2005 report sending him back to his home country of Libya. In 2007, Qumu was released from Gitmo and turned over to Gaddafi on the condition that he be kept in prison. But, in 2010 Gaddafi freed him from the notorious Abu Salim prison in Tripoli, along with 37 other prisoners, to celebrate the dictator's 41st year in power. During the uprising, Qumu emerged as a leader of the rebels. He was a tank driver during his time in the Libyan army, though he had been arrested several times on drug and alcohol offenses. 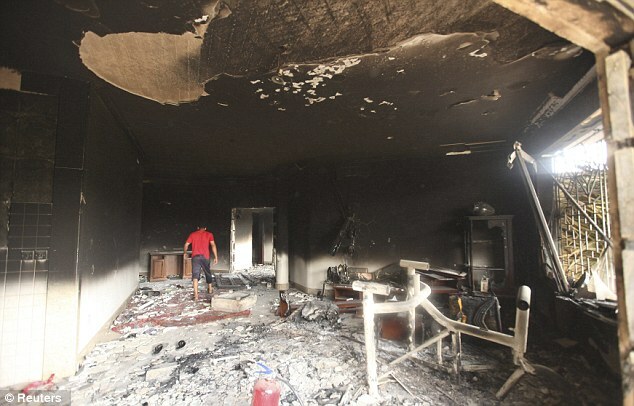 In addition to Mr Stevens, who friends said devoted his life to promoting peace and cultural understanding, three other Americans were killed when a mob attacked and burned the consulate in former rebel stronghold city. 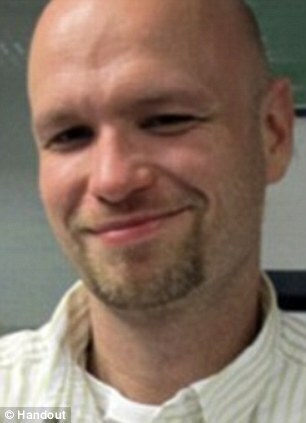 Sean Smith, a foreign service officer, was a 34-year-old father of two. 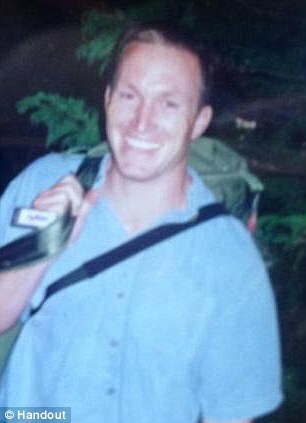 Glen Doherty, 42, was a former US Navy SEAL who was working at the consulate as a private security contractor. 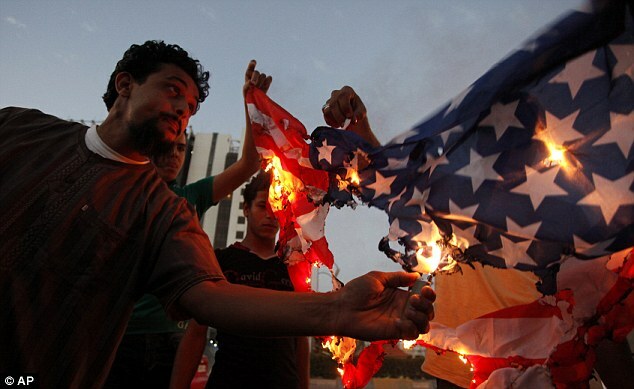 The attack on the consulate came after the release of a trailer for the controversial movie 'The Innocence of Muslims,' which paints a portrait of Islam that many in the Muslim world find deeply offensive. 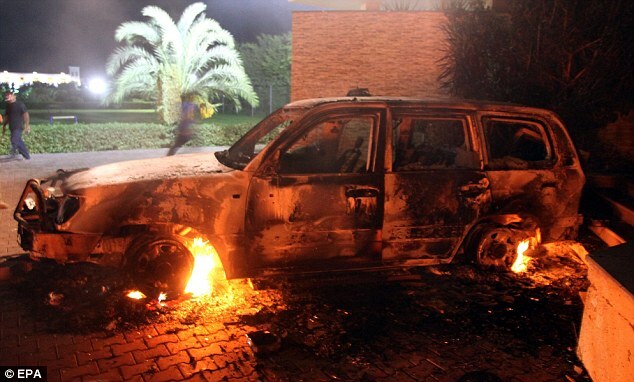 The White House maintains that there was no evidence the attack was preplanned by a terrorist group -- rather, they say, it appears to have been a spontaneous mob of Islamic extremists. 'We are looking at indications that individuals involved in the attack may have had connections to Al Qaeda or Al Qaeda's affiliates, in particular Al Qaeda in the Islamic Maghreb,' Mr Olsen told the Senate.